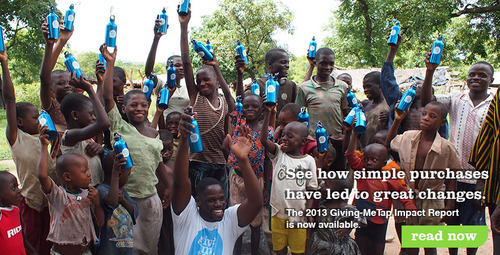 GiveMeTap Impact Report 2013 now published! Our biggest publication of the year is now out! Check out our Splash Report and discover how GiveMeTap have changed lives both right here in the UK and in villages across Africa. Thank you to every single GiveMeTapper who has made every word of this report possible. Share this report with all your friends & family and be proud of your contribution to our mission!